The book is a good step towards creating an electorate aware of ecological issues. The Western Ghats landscape spread across Karnataka, Tamil Nadu and Kerala is home to a wildlife corridor passing through Nagarhole, Bandipur, Mudumalai and Wayanad. It hosts the single largest tiger population in the world. This is an area that Sanjay Gubbi is keenly familiar with. 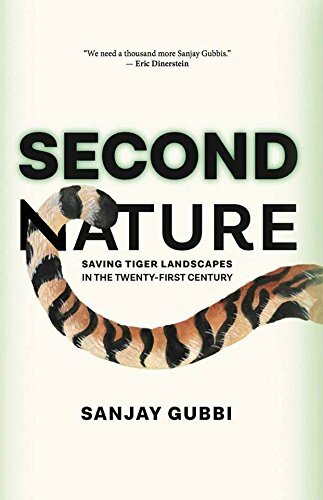 Gubbi has documented his conservation efforts in the region, compiled in a new book titled ‘Second Nature: Saving Tiger Landscapes in the Twenty-First Century’, published January 2018. India’s large human population and the aim to become a ‘developed economy’ has strained forest resources. Policies that facilitate large-scale industrialisation have also resulted in linear infrastructure intrusions like roadways, railway tracks and power lines, which move into natural ecosystems without regard to ecological balance. What’s worse, policies focusing on the conservation of natural resources and wildlife often take the backseat since policymakers believe the Indian electorate prefers ‘development’ over lush green forests. Gubbi writes, “Political will and commitment play a crucial role in policy-making, including in wildlife conservation. However, politicians know that for the average voter in India, conservation is not a priority. Naturally, therefore, elected representatives look at the world of wildlife conservation through these lenses.” He then goes on to elaborate how he tackled such inherent biases in the minds of elected representatives. In November 2016, the status of ‘Conservation Reserve’ given to the Kappatagudda Conservation Reserve, in Gadag district of Karnataka, was withdrawn for gold-mining. The decision came up before the State Board for Wildlife (SBW) in February 2017. To the detriment of the conservationists who were on the board of the SBW, including Sanjay Gubbi, the then chief minister of Karnataka, Siddaramaiah, was in favour of mining. When the time came for Gubbi to put forth his arguments, he chose to keep aside the conservation angle and instead spoke of the mercury poisoning that comes with gold mining. Such pollution would affect the lakes and tanks of the region, which are already severely stressed, he said. The other important factors in such deliberations are patience and timing – skills that only realists seem to be able to hone. Gubbi’s work in the field of conservation biology, which spans over two decades, draws from the principle that every win, no matter how significantly reduced from ‘what ought to be’, is a move towards that ultimate aim. As seen from the results, such pragmatism has helped to continuously add to small gains. However, could larger triumphs have been achieved by choosing to walk on an idealistic path? Then again, maybe the discipline can’t afford to be driven by ideologies that bank on gambles. In many ways, therefore, the book reads like a guide to future conservationists by providing a peek into the world behind the screens of conservation endeavours, traversing the corridors governance, bureaucracy and courtrooms. One chapter, titled ‘Green Hydroelectricity: When “Power” Flouts the Law’, illustrates the irony in supporting ‘green’ initiatives like small hydropower projects without paying heed to its impact on the wildlife of the region – a dour lesson on the functionalities of private interests in government-sanctioned projects. A common thread that runs through several conservation stories detailed in the book is the aim to link various wildlife landscapes that are located relatively close to each other, effectively stitching together corridors for animals to move freely. 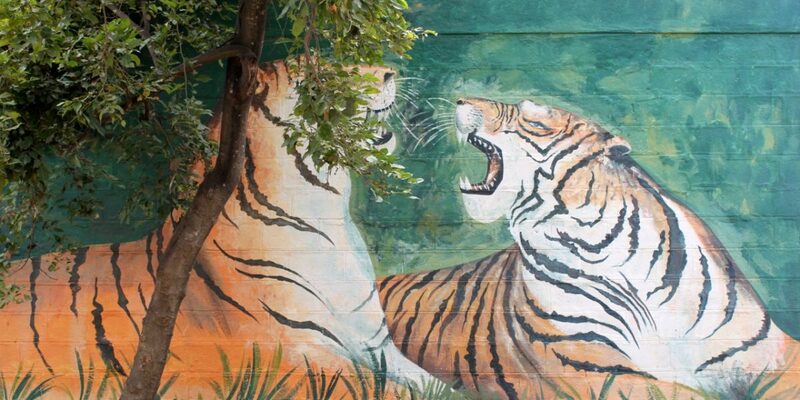 To illustrate, the exercise Gubbi and his team undertook to connect the protected area of the Malai Mahadeshwara hills with the forests of Biligiri Rangaswamy temple is a noteworthy attempt at demonstrating movements in tiger landscapes. Named ‘source-sink’ dynamics, the theory discusses how areas with higher tiger numbers lead to some of the tigers moving into newer areas to establish their own territories. In cases where ‘sink areas’ are not present, the younger or weaker tigers could possibly be killed by territorial males that dominate the region or be deposed to the edges of forests, where the likelihood of human-wildlife interactions increases. In all, the book acknowledges that conservation is chaotic. But since the democratic system of governance in India allows public participation, the responsibility to bring wholesomeness to developmental policies rests partly on those who are engaged in environmental and wildlife conservation. Citizens also need to be aware about ecological issues so that its lessons become common knowledge and lead to the formation of an informed electorate. And Gubbi’s ‘Second Nature’ is a good step in this direction. 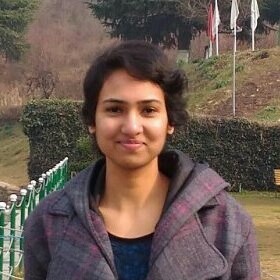 Rishika Pardikar is a freelance journalist in Bengaluru.